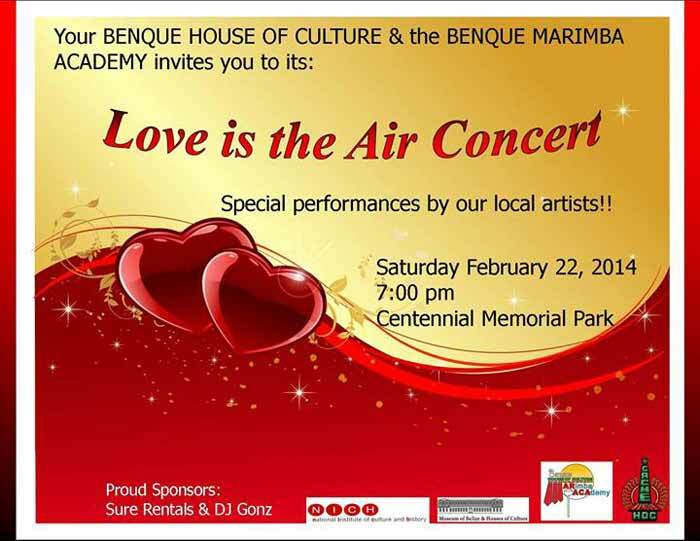 The Benque House of Culture is having their Love is in the Air Concert Saturday, February 22nd, starting at 7:00pm. It's at Centennial Park, and the Benque Marimba Academy is involved, so maybe they'll play a little. Thanks, Benque HoC! "Come and support our local artists this coming Saturday!!!"